Whether it is needed for commercial or residential use, this Celina tent will serve you well. It is equipped with a tough 16 ounce vinyl top that has bonded panels with 1 inch heat sealed seams. Furthermore, 95% of the tent top is bonded with heat sealed construction to provide you with the sturdiest product possible. 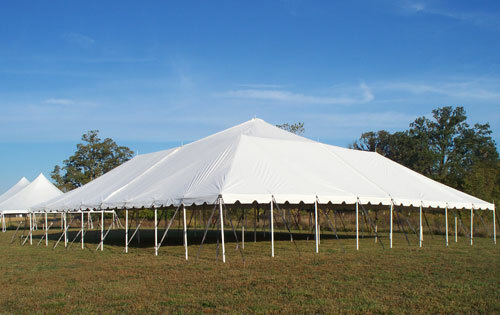 With 2 inch reinforced vinyl webbing at the poles, you will not need to replace this tent anytime soon. The required stakes and ratchets are included.